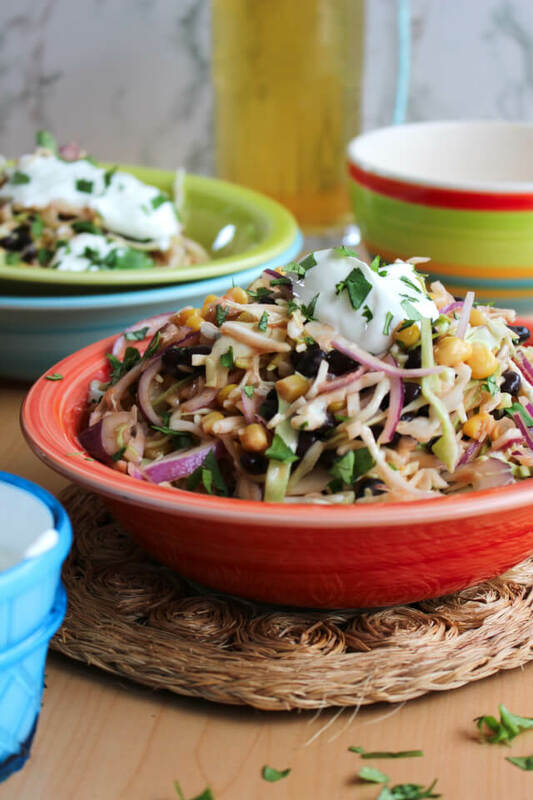 Mexican Slaw is a light and healthy Tex-Mex twist on traditional coleslaw that is great served as a side dish or as a taco topper! I am a Mexican food fanatic. You can put a Mexican twist on just about anything and I'd be happy! Coleslaw and Mexican though? 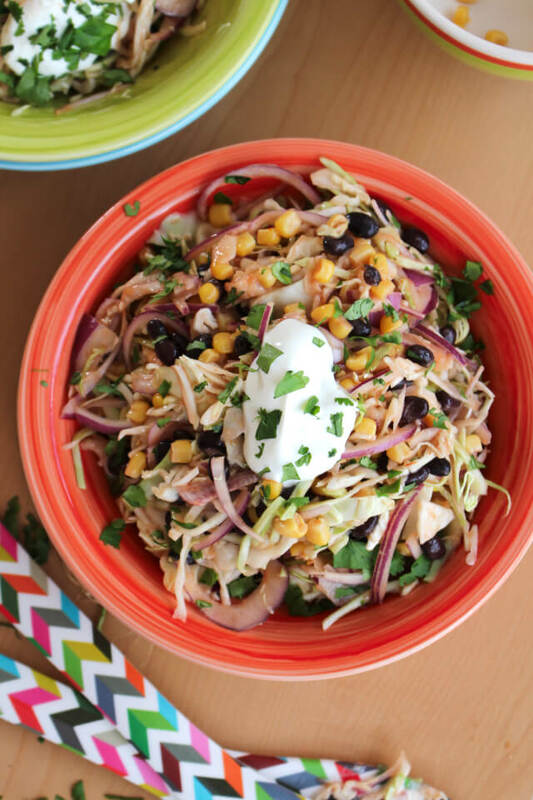 I honestly never really considered that one until I was flipping through one of my cookbooks and saw a Tex-Mex inspired slaw. I'm not usually one to go for coleslaw in general, but with a Mexican twist? You bet I want to try it! Then, I found out that this month's highlighted ingredient in Feast & Devour, a cooking club I'm a part of, was cabbage! It was kismet. Mexican Slaw was a go! This turned out to be a really light, delicious slaw thanks to subbing some of the mayo for taco sauce. Yum, right? You can get spicy sauce or mild, depending on your preferences. Then there are all the other goodies like black beans, corn, and red onions. It made a super tasty side with a dollop of plain greek yogurt and fresh cilantro on top! I knew as soon as I tasted it that is would make a superb taco topper, too. Crunchy cabbage is always a great choice for tacos! One word of warning, though. This makes a pretty large portion of slaw! Great for a party, but if you're only serving a few, I'd consider halving the recipe. And make what you need! This recipe is best served fresh. Ready for some more cabbage recipe inspiration? 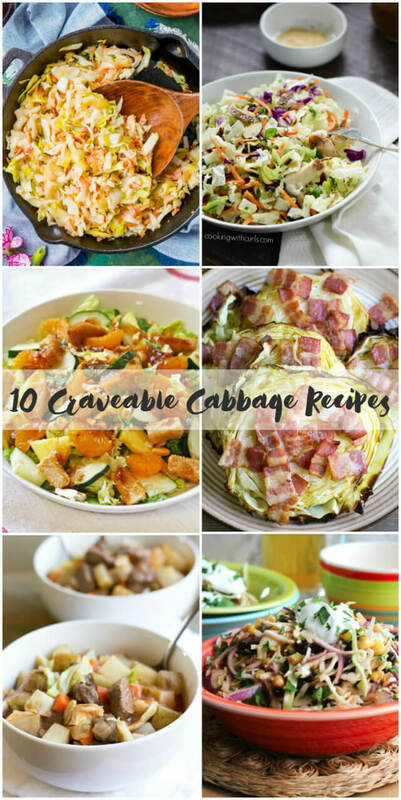 Here are a few more cabbage themed recipes from my Feast & Devour Cooking Club friends. Enjoy! Thinly slice or shred the cabbage and onion using a box grater, mandolin, or knife. 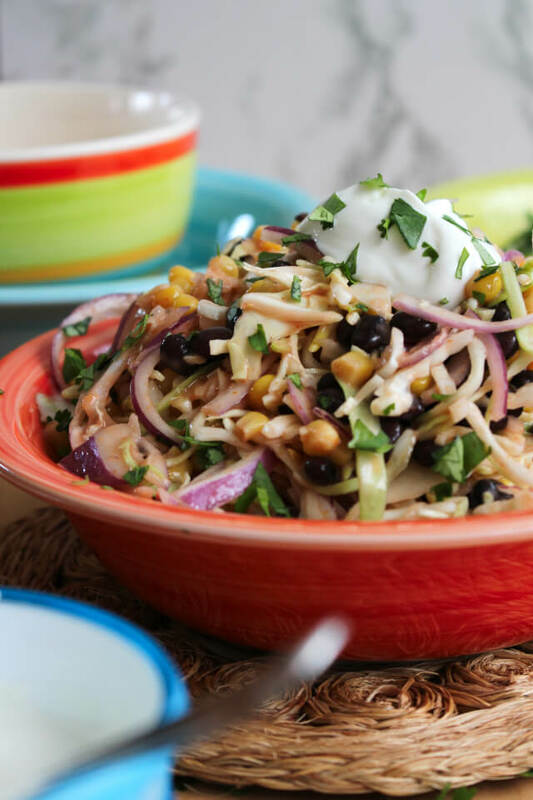 Transfer the cabbage, onions to a bowl and add the corn, black beans, and cilantro. In a small bowl, combine the taco sauce and mayonnaise. Toss the cabbage, onion, corn, and beans with the taco sauce dressing just before serving. I like to add a dollop of plain greek yogurt and chopped fresh cilantro as a garnish.